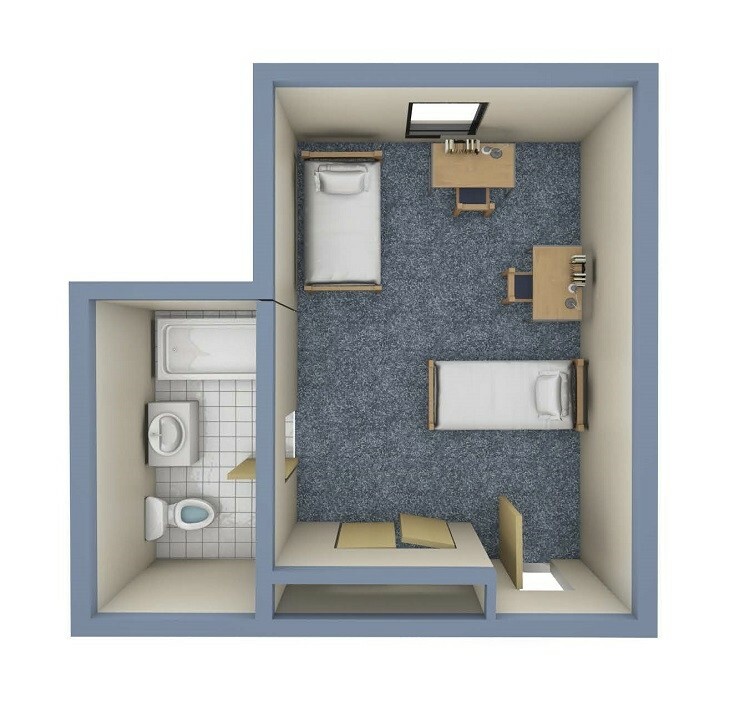 This four-story residence hall offers semi-suite style double rooms with shared adjacent bathrooms. Bathroom entrances are located in the hallway just outside the semi-suite doors. The central laundry room is on the lower level. Full kitchens, lounges and study rooms are located on each floor. University Hall offers suite-double rooms, suite-triple rooms and deluxe-double rooms. All rooms feature large closets. University Hall is a predominantly first-year student residence hall. It is wheelchair accessible. Offices for the student newspaper and Residence Hall Council are located on the lower level, along with a gaming lounge. Want to get a better idea of what this hall looks like? Jump right to University Hall on our virtual tour for a look inside the building. University Hall also has converted housing, and in this hall regular triple residential units are converted to accommodate four students. If you have questions about converted housing, read our Converted Housing Brochure or call our main office at (773) 325-7196.